This course made possible in part by an unrestricted educational grant from Bracco Diagnostics, Inc. 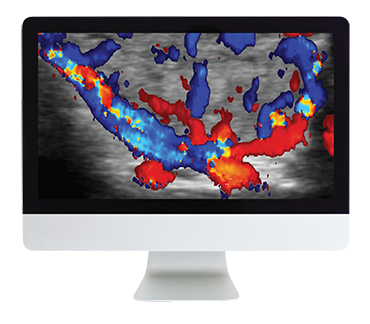 This Online Course covers the breadth and depth of the field of thyroid imaging. Lectures will include: Thyroid Nodules/Cancer Demographics, Risk Factors; Benign Diseases of the Thyroid; Neck CT/MR Staging of Thyroid Cancer; Ultrasound of the Post-Operative Neck; and much more! This course package offers 4 CME and SA-CME Credits following completion of an online test. Upon completion of this program, participants will be able to; describe MR and CT imaging findings of thyroid cancer; discuss pre and post-operative imaging findings of thyroid cancer; and discuss ultrasound findings of thyroid imaging. The ARRS designates this enduring material for a maximum of 4.00 AMA PRA Category 1 Credit(s)™ and 4.00 American Board of Radiology, MOC Part II, Self-Assessment CME (SA-CME) credits. Physicians should claim only the credit commensurate with the extent of their participation in the activity.